Cookies are one of my great loves. “Gluten Free” was a term that until recently, had never gone thru my head. Then I met Miss Sara. Miss Sara is a gracious, lovely lady I met during a brief period of madness in my life when I thought I wanted a restaurant and bakery. Everyone has these spells, right? Miss Sara proved to be one of my most faithful customers, staying with me until I locked the doors for good. Then Miss Sara discovered she has a severe gluten intolerance (I was unknowingly killing her with rolls and chicken spaghetti!!!). So I began making a soup here and a casserole there to help her adjust to this new diet. Now I find myself most Tuesday afternoons cooking and baking all sorts of gluten free dishes in her fabulously large kitchen. Which also has a butlers pantry. I want a butlers pantry. In fact I think I’d give up my entire closet and condense my belongings to a 2-drawer dresser if only I could have a butlers pantry. There is even a floor to (almost) ceiling window. And wainscoting. And a sink. Needless to say I enjoy her kitchen and her company and her butlers pantry. And she enjoys these cookies! 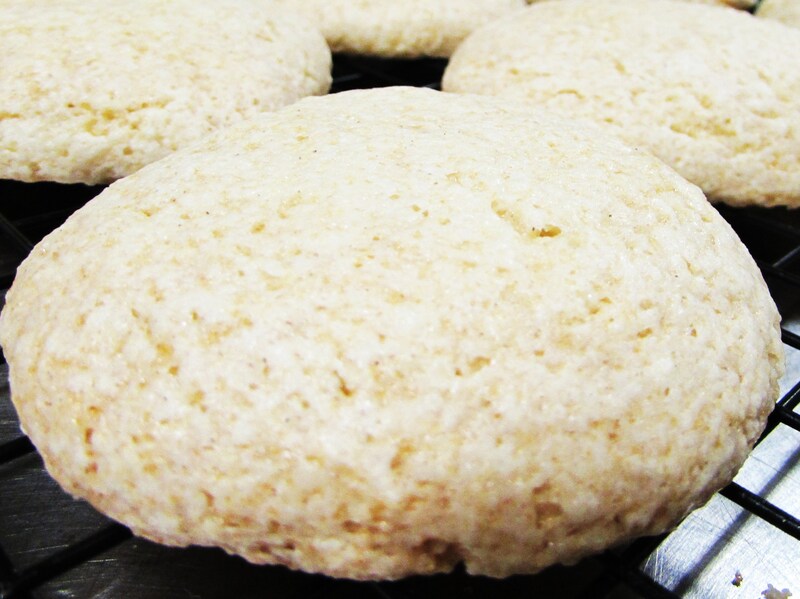 I’ve been making them awhile now and they, like all things gluten free, can be a little finicky. But, they are good. They are big. They are soft. 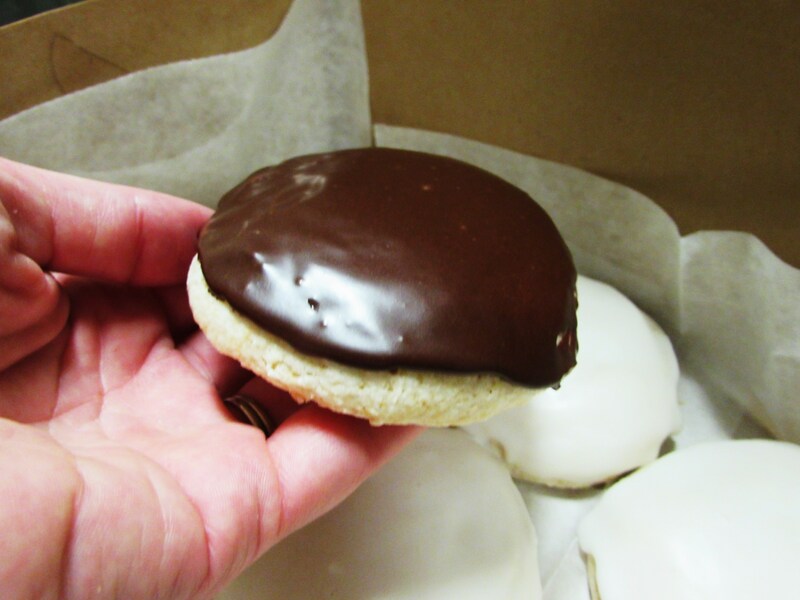 And when you haven’t had a cookie in awhile….they are a lifesaver! Here they are: Miss Sara’s Cookies. 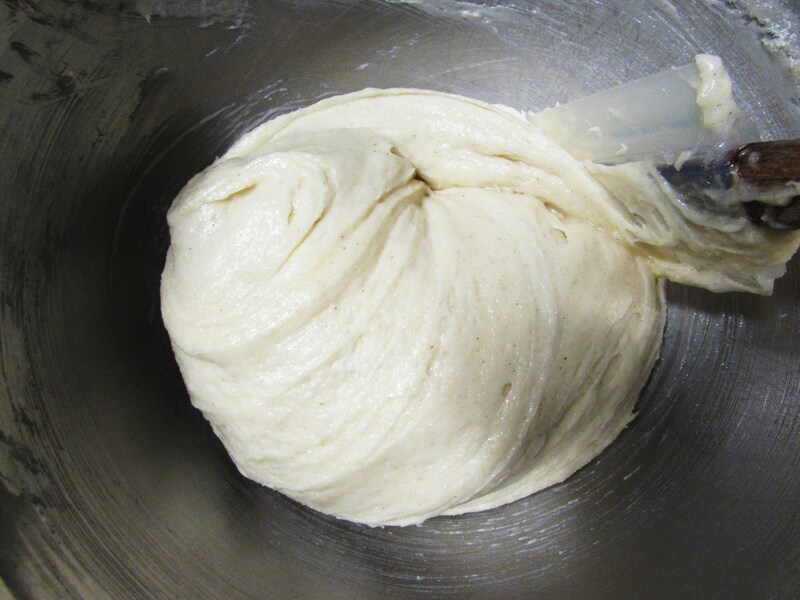 You begin with the ingredients seen above. 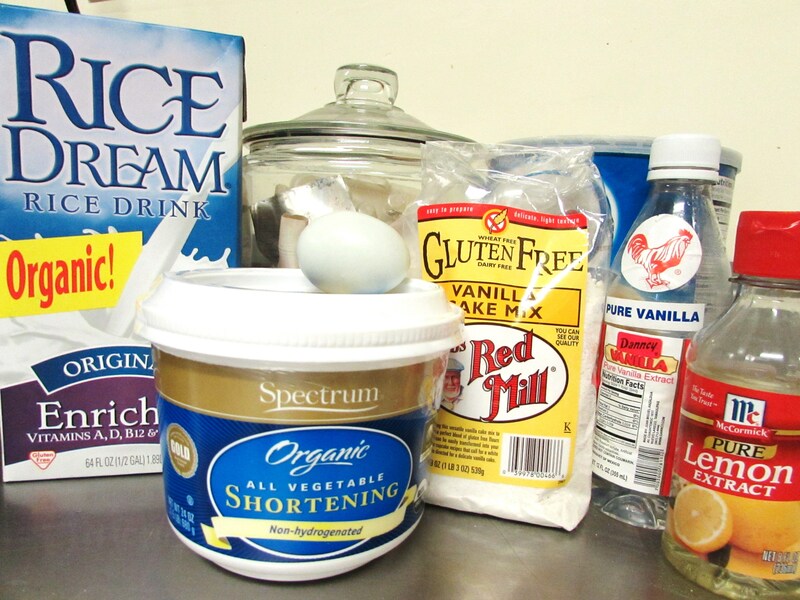 Gluten free cake mix (Red Mill is good but any of them will work), rice milk, non-hydronated veggie shortening, vanilla & lemon extract, powdered sugar and an egg. One of the most important things to make these come out right is to weigh the cake mix. I don’t know why so please don’t ask but it makes an enormous difference. 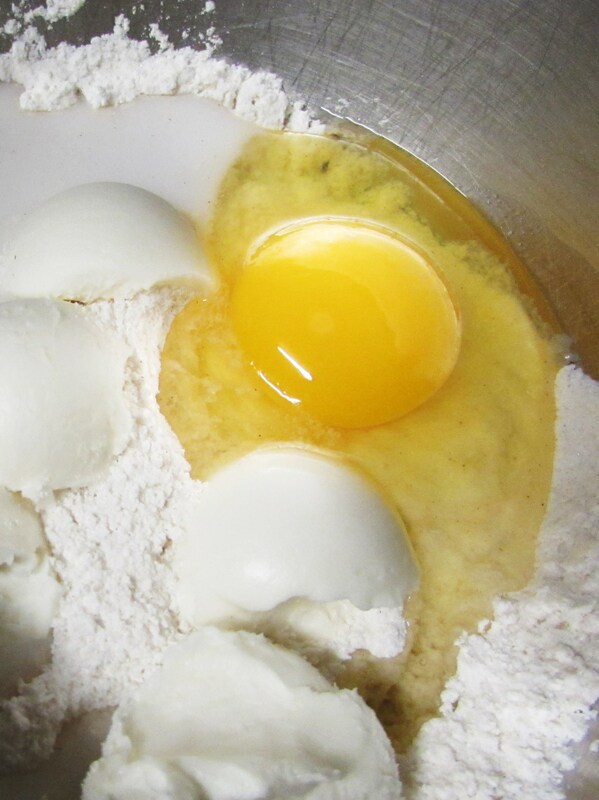 Add the shortening, extract, egg and rice milk. Blend together. 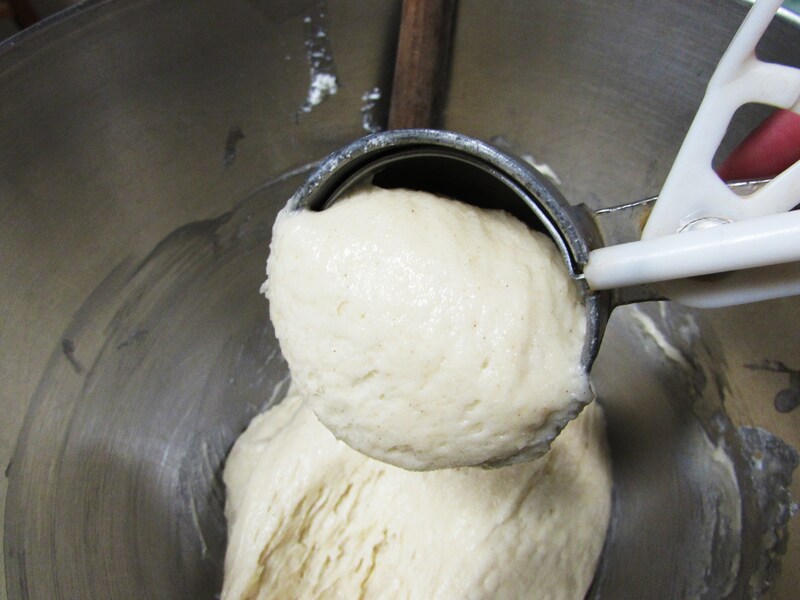 The batter is a little sticky, a little thick with a really odd texture. Not like a cake, nor a cookie, nor a bread. Grab an ice cream scoop, just make sure it is the kind with a trigger so you can shoot the batter out. Otherwise you will have a mess. I only fill the scoop 3/4 full then plop them out onto a parchment lined cookie sheet. These are the only cookies I use parchment for but it is a must! 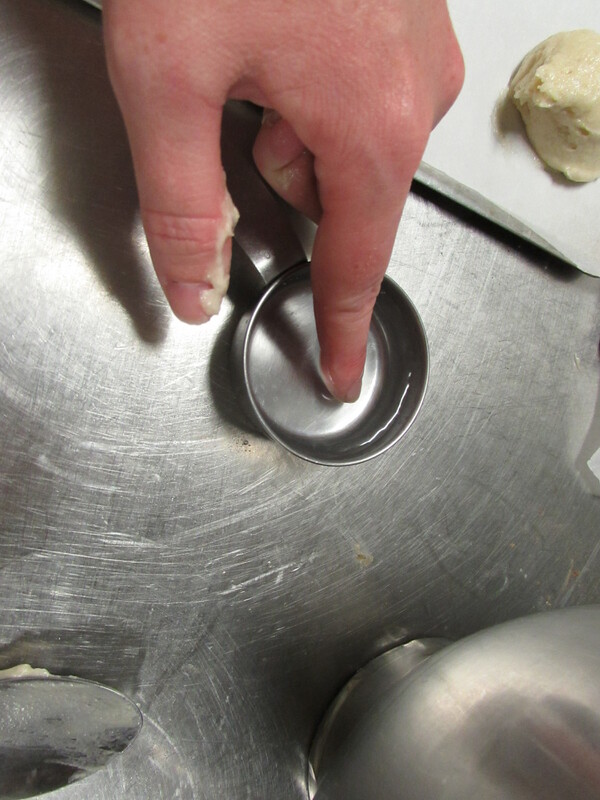 Next you need to gently flatten each cookie with your fingertips. First get some water and moisten the ends of your fingers. Then carefully pat each cookie to flatten it. Bake in pre-heated oven about 10 minutes. 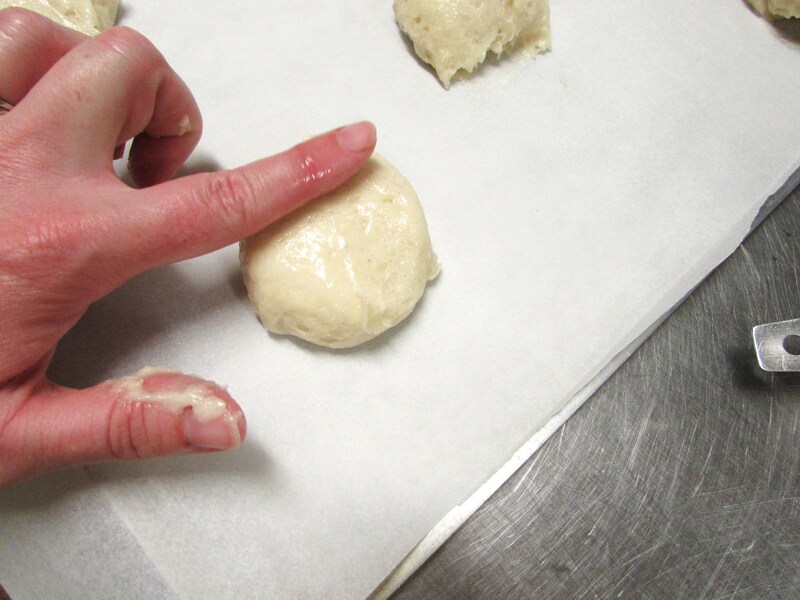 You will need to rotate the cookie sheet half-way thru the baking time. Or until a toothpick inserted in the center comes out clean. Just like a cake! Let those babies cool several minutes before removing to a wire rack, they break easily because they are so soft. These are ready to eat but who wants a plain cookie when you can have a glazed cookie? No one I say! So let’s glaze them, shall we? I love simple things and this glaze is one of them. 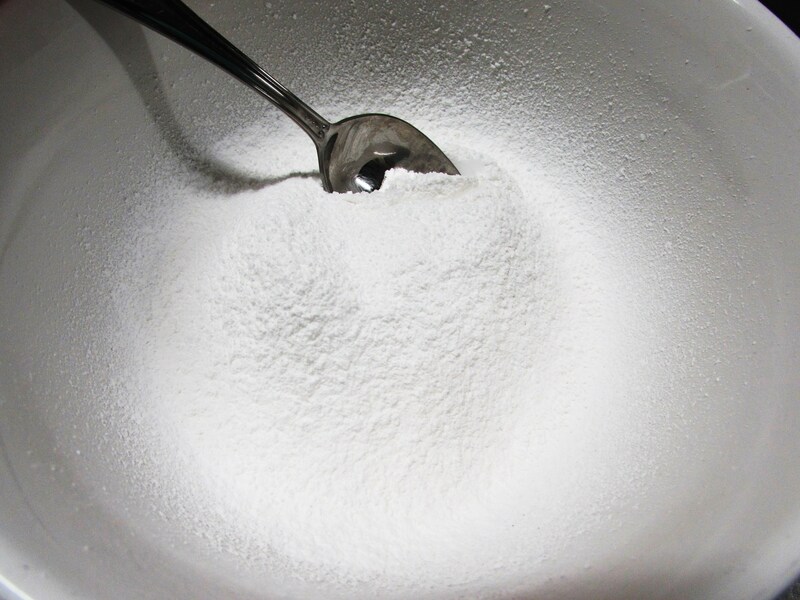 Powered sugar, hot water and vanilla extract. You can even make it a chocolate glaze by replacing some of the sugar with unsweetened cocoa powder! 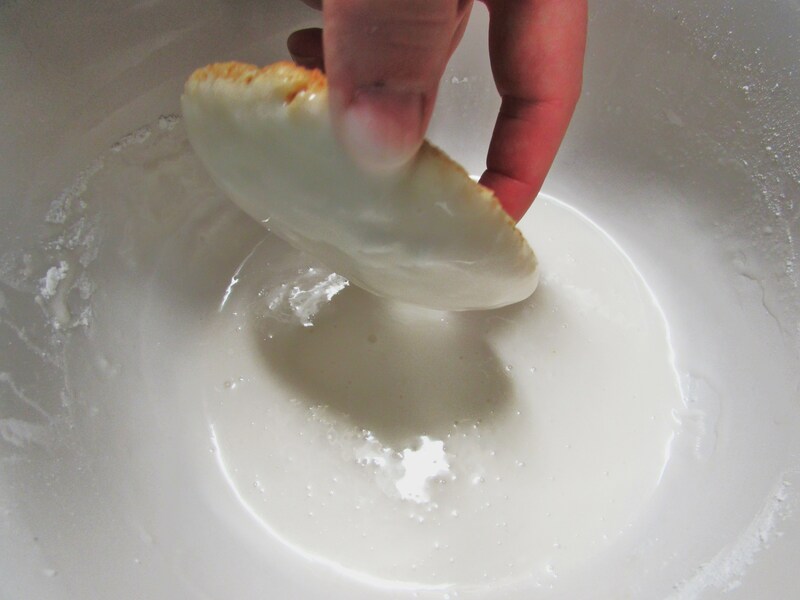 Now dip each cookie in the glaze and let the excess drip off before replacing on the rack. And there you have it folks! Gluten free goodness! Quick note, this makes about 10 large cookies and once the glaze sets you can transport them easily. However, if you stack them be sure and place wax paper between each layer otherwise they stick together. Because chocolate makes everything better…. Pre-heat oven to 350, line 2 cookie sheets with parchment paper. 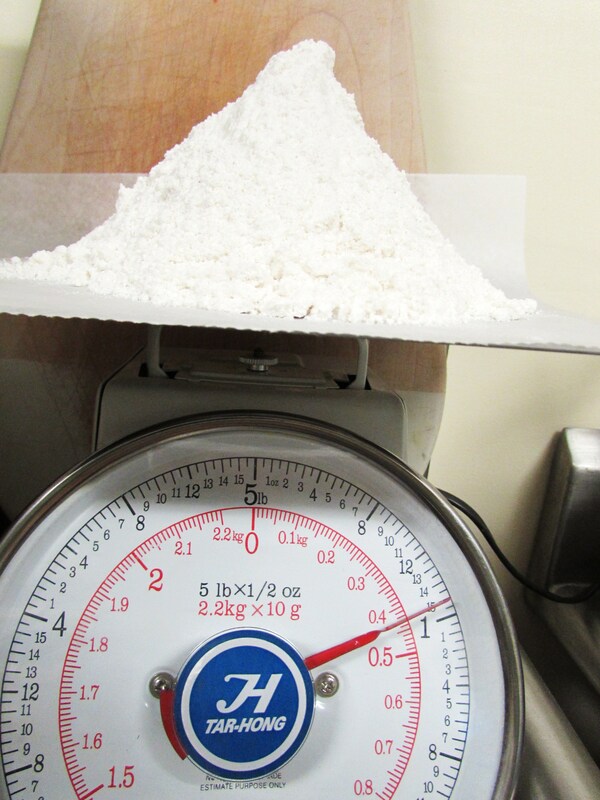 Weigh out 15 oz. 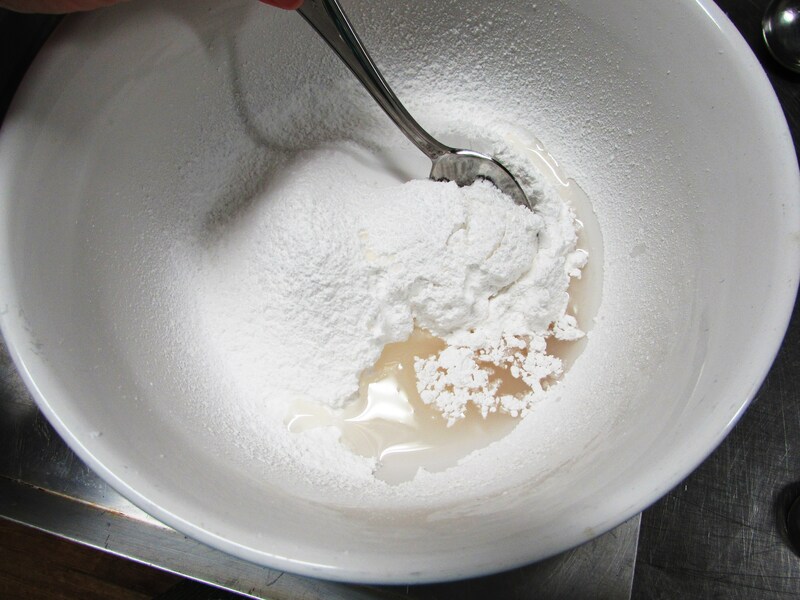 of cake mix, if there is more, store for another use. 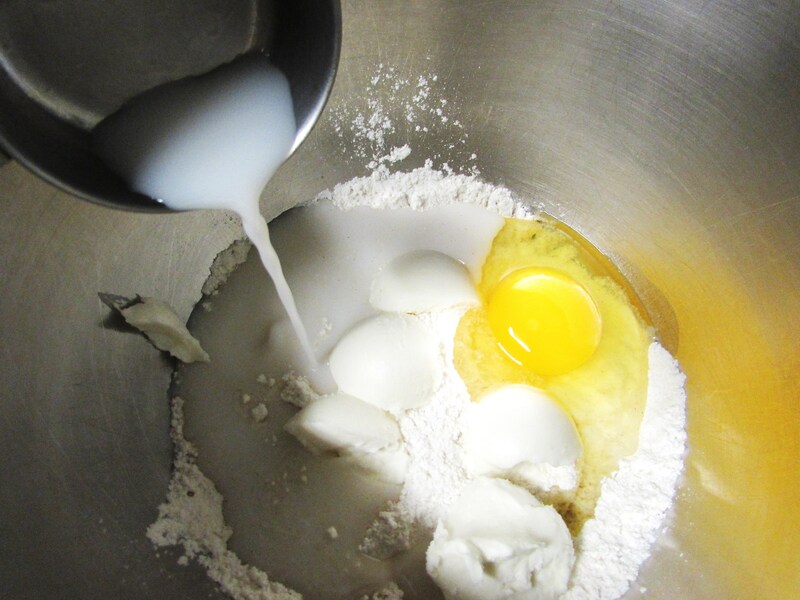 Add remaining ingredients and mix on low speed until all ingredients are incorporated. Turn up to medium speed and beat 1 minute or until smooth. 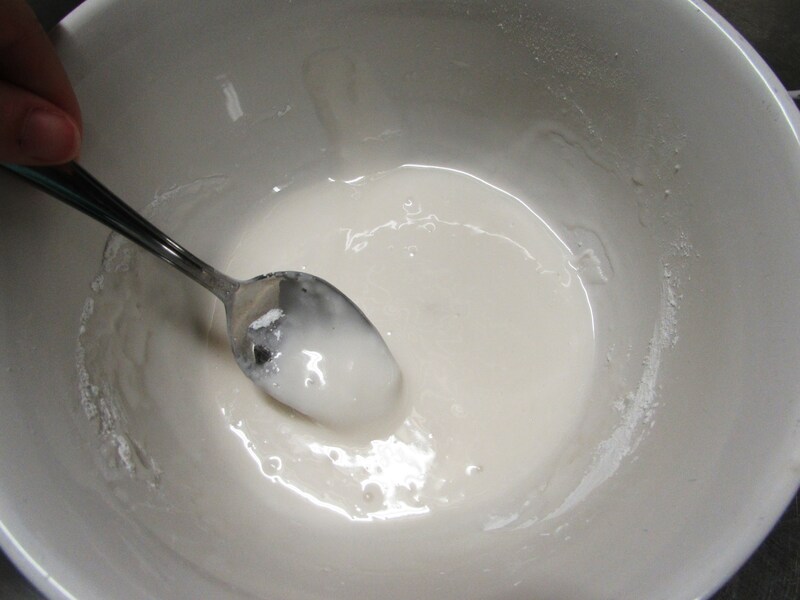 Scrape the bottom of bowl and fold the mixture a few times. Let rest 5 minutes. 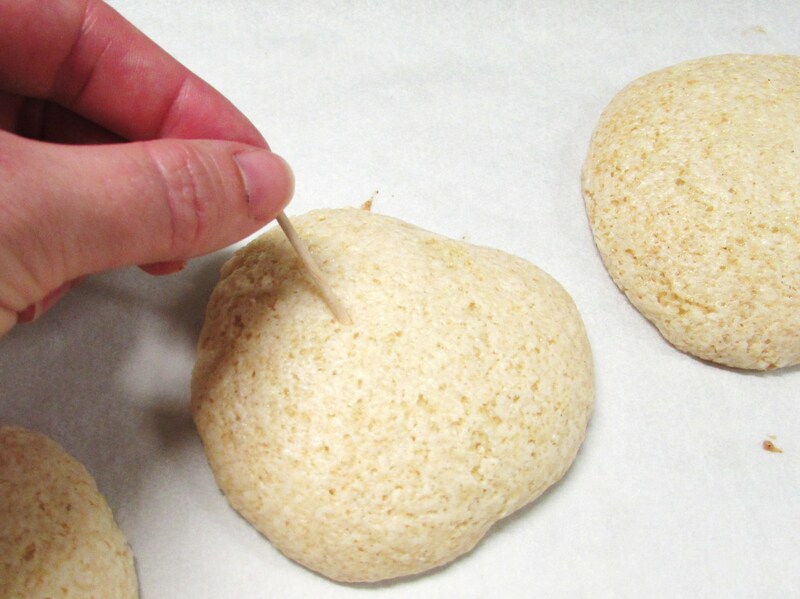 Using a large cookie scoop (1/4 cup) place 6 cookies on each sheet. 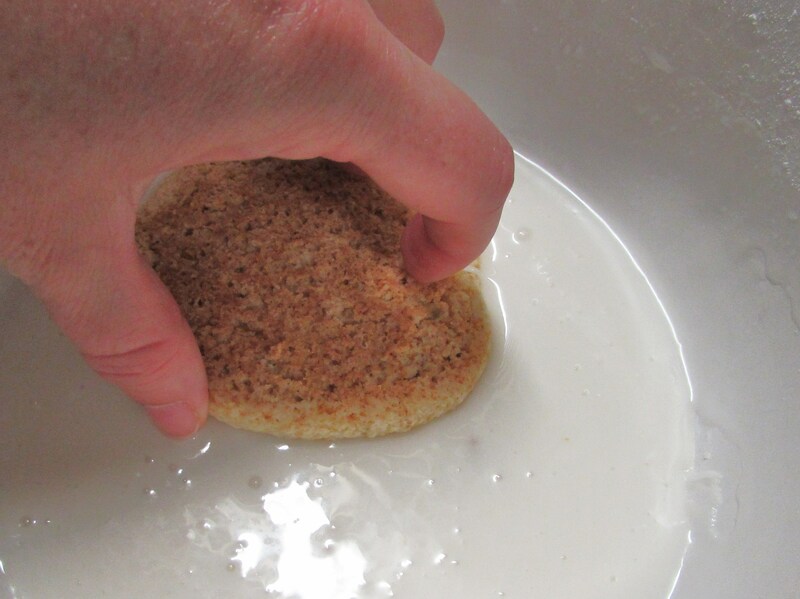 Dampen the end of your finger with a small amount of water and flatten each cookie gently. Bake 6 minutes in hot oven, rotate cookie sheet and bake another 6 minutes or until a toothpick inserted in the center comes out clean. Let cool a few minutes before removing to cookie sheet to cool completely. 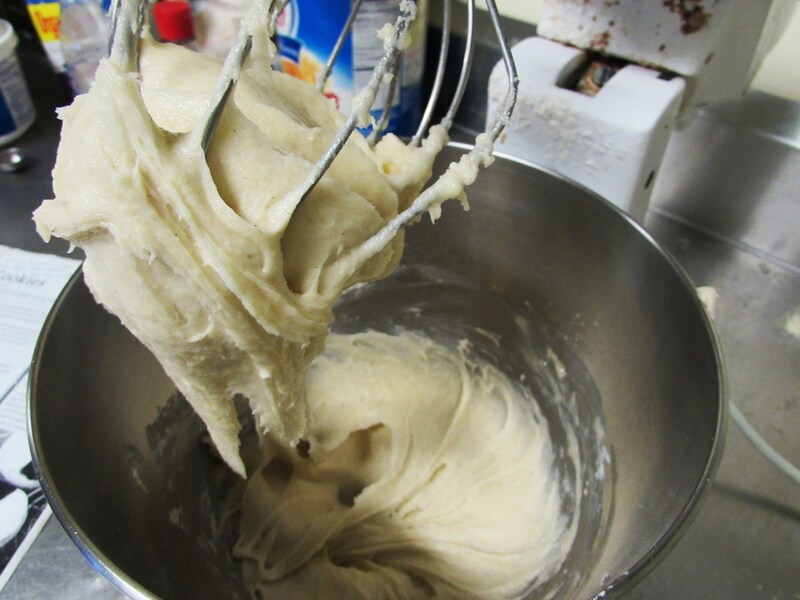 Add all to a medium bowl and whisk together until smooth and spreadable. Dip each cookie, top down, in the glaze. Let the extra drip off and replace cookie on cooling rack. 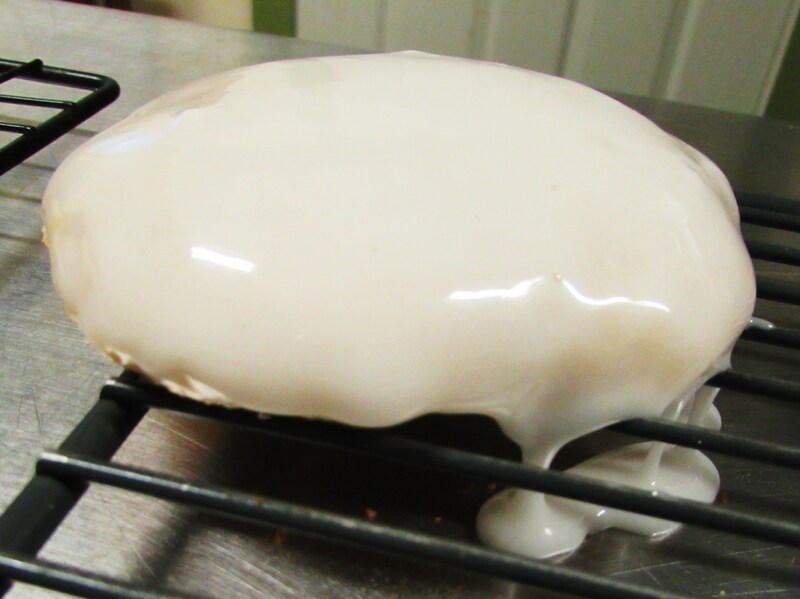 Allow to sit 30 minutes or until glaze has set. Please also note, Miss Sara gave me this recipe which she had found in a magazine. I’ve no idea which one otherwise I’d have given a link. If anyone knows, let me know so I can cite them properly, thanks! ← Things I did not grow….. These look fab! With or without gluten – I want some!